U.S. Ivy League school Yale University has allocated money from their sizable endowment to invest in digital asset investment fund Paradigm, Bloomberg reports. Paradigm was started by Fred Ehrsam, co-founder of Coinbase, along with Mark Huang of Sequoia Capital and Charles Noyes, formerly of Pantera Capital. According to reports, the fund has raised around $400M from investors such as Yale University. It’s unclear at this point exactly how much of Yale’s nearly $30BN endowment they’ve put into Paradigm, and as of this writing, they could not immediately be reached for comment. Paradigm, according to Noyes, plans to invest the money into early-stage cryptocurrency projects, new blockchains, and exchanges. According to Bloomberg, he was invited to join Paradigm by its other two founders after less than a year at Pantera. “I wanted to try my hand at sort of re-architecting the internet in a way that I think is more democratized,” he said of his decision to join the fund. Some say that Yale’s endorsement of Paradigm could bolster confidence in the fund, and in the cryptocurrency market as a whole, since Yale’s endowment manager David Swensen has a track record for savvy investing. Swensen has managed the second-largest endowment in U.S. higher education for 30 years and done it well enough that others have tried to replicate his efforts. This isn’t the first time Yale has invested in cryptocurrency, either. According to CNBC, they’ve invested money from their endowment into Silicon Valley venture capital firm Andreessen Horowitz’s $300M crypto investment fund as well. As CNBC points out, the two investments represent a tiny portion of the billions that Swensen is managing, but a successful return on that investment could convert some market holdouts into crypto investors. After a surge in 2017, cryptocurrencies have taken a downward turn. Bitcoin, in particular, has gone down in market value 50 percent, and the entire cryptocurrency market has dipped 63 percent, according to data pulled from coinmarketgap.com. There are, however, signs of a turnaround. 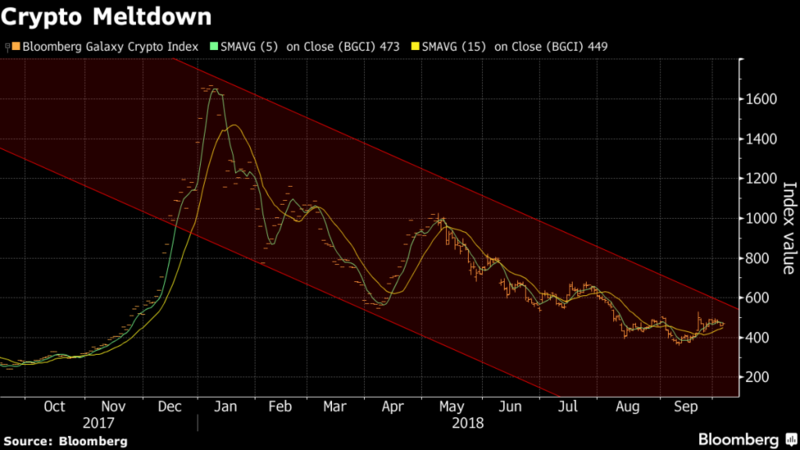 Market experts are predicting that Bitcoin has hit its bottom and will make a comeback. State and federal regulatory agencies like the SEC and CFTC are joining the hunt for bad actors and shutting down the ones they find. Makers of cryptocurrency accessories like cold wallets have built-in extensive security measures to keep digital assets from being stolen. None of the above concerns have deterred firms like Andreessen Horowitz and Paradigm, who say they plan on holding their investment for the long term.